A recent report by The Times of India said Joshi’s return to UP created ripples in the top echelons of UP IAS cadre, and he was brought back at the initiative of the UP government, which “actively pursued the matter with the Centre”. 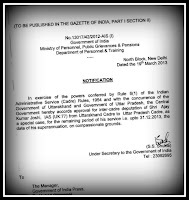 Joshi was an influential IAS officer during earlier Mulayam Singh Yadav’s regime, but he was forced to opt for Uttarakhand in 2009 when he was offered only insignificant posts during Mayawati’s time. Significantly, inter-cadre transfers and their extensions are becoming increasing difficult. 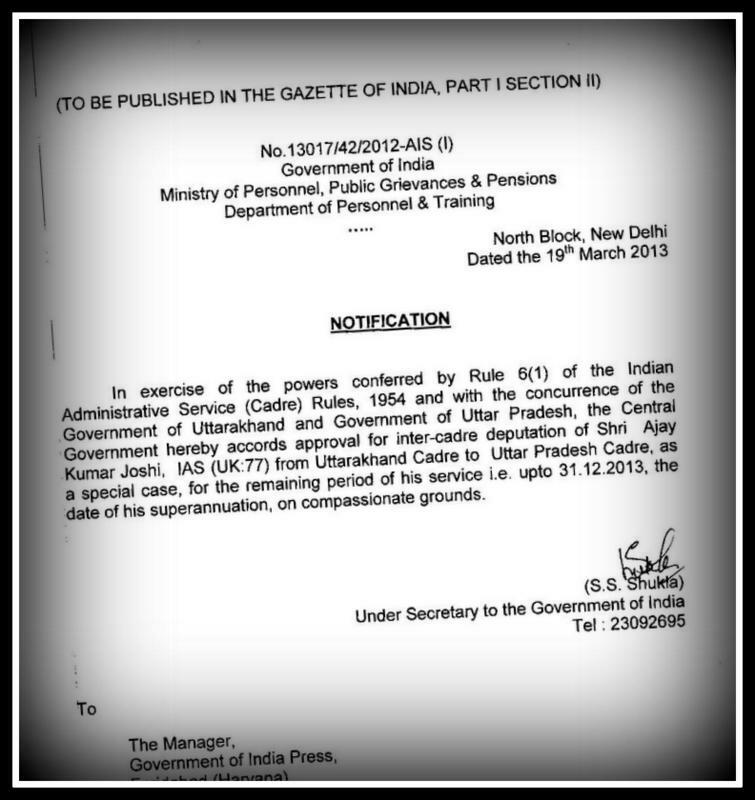 Only recently, the government has rejected extension of inter-cadre deputation of Dr KH Govinda Raj, 1995 batch Maharashtra cadre IAS, for Maharashtra to Karnataka for a period of one year beyond October 5, 2012. The people interested in witnessing the special show of President presenting Silver Trumpet and Trumpet Banner to the President’s Bodyguard at a ceremony at Rashtrapati Bhavan, may register themselves on the website www.presidentofindia.nic.in. Limited numbers of seats are available on first come first serve basis, a statement from Rashtrapati Bhavan said. The special show of the ceremony will be held on March 26, 2013 at 1945 hrs and Full dress rehearsal of the ceremony will be held on March 28, 2013 at 1945 hrs. The registration is open till March 22, 2013. In case of any query, you can e-mail at invitation@rb.nic.in.